A ruthless Rafael Nadal booked his place in the final of the Barcelona Open on Saturday. Nadal’s impressive semi-final win came at the expense of fellow countryman Fernando Verdasco. Nadal, who retained the Monte Carlo title for the eighth time in his career recently after crushing Novak Djokovic in the final, blitzed through the first set of his semi-final clash with Verdasco. It took Nadal less than half an hour to seal the first set 6-0. The Nadal first serve was working well through the match, and was forcing the pace throughout. Rafa dropped just five points on serve in the first set in total, and did not concede a break in the entire match. Verdasco did find his feet a little bit in the second set, holding at two-all before Nadal made the crucial breakthrough, which saw the world number two set up for a 6-4 win in the second set. After doubts about his fitness and commitment to the game towards the end of last year, and having gotten off to a slow start in 2012, Nadal has come back to life now the clay swing of the season has hit. The grand clay-master is looking the red hot favourite again to stroll into Roland Garros and defend Nadal’s Grand Slam, the French Open. He now faces another Spaniard, David Ferrer, in the Barcelona final on Sunday, a repeat of the 2011 event, which Nadal won. The Majorcan was in epic form in last year’s final, and has won 10 of the 11 clay-court meetings between himself and Ferrer. If Nadal can pick up the Barcelona crown for the seventh time in his career, it will be his 48th ATP Tour level title. In the other semi, David Ferrer survived an onslaught of heavy serves from Milos Raonic to advance to the final. Spaniard David Ferrer made amends for his early exit in Monte Carlo recently, as he booked himself a place in the final of the Barcelona Open. In Sunday’s showcase, he will face defending champion Rafael Nadal in a repeat of last season’s final. Ferrer squared off against young Canadian star Milos Raonic in the semi final, the man who had disposed of Britain’s Andy Murray in the previous round. 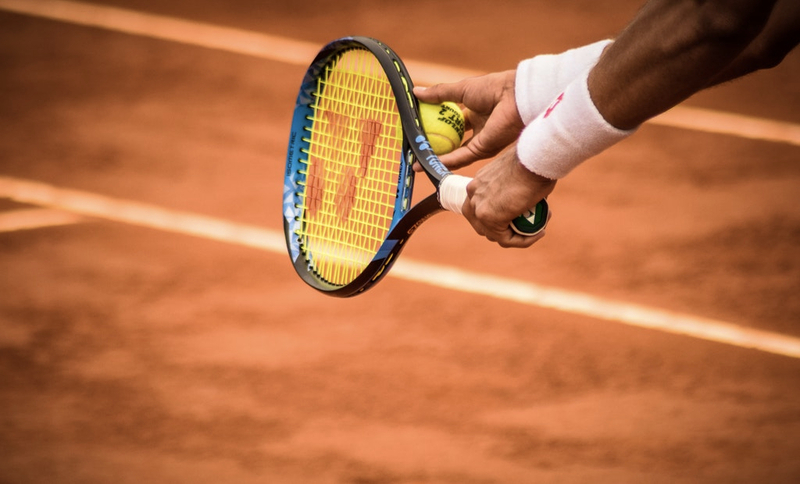 It was a semi final in which clay-court expert Ferrer had to dig deep to withstand that onslaught of heavy serves fired in from the young Canuck. Raonic’s powerful serves had been the undoing of Murray on Friday, and his onslaught set himself up with four break points in the first set. However, Raonic couldn’t convert, thanks to the great footwork and stubborn defensive work of Ferrer, who forced the set to a tie break which the Spaniard quickly closed out 7-0. The second set was equally as tight, but it was the experience of the world number six Ferrer which edged the affair. As good as Raonic was on his serve, firing off 15 aces, the key to Ferrer’s game was holding his own serve, and with a 75% success rate behind his first serves, it was enough to put him through to his fourth Barcelona Open final. However, it has been three times unlucky in the final for Ferrer, as on each occasion he has ran into Rafael Nadal. Spain’s number two has been one of the top performers on the ATP tour in 2012 though, holding a 28-4 match record for the season, and is gunning for his fourth title of the year. The only win for Ferrer against Nadal in their last ten meetings was that famous 2011 Australian Open quarter final, where an injured Nadal could barely move, but still played the match out.